The beginning is always stiff. But who can tell the rest will not be a bliss? 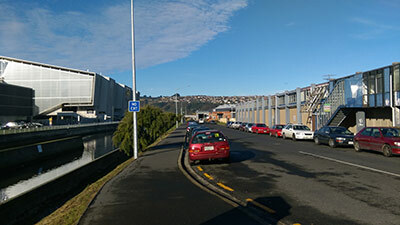 It has been exactly a year since I started my life in New Zealand. Planning my study here has been one of the weightiest plans in my life so far. Not at all a spoiled kid that grows up in comfort zone, leaving home to make an entirely independent life thousand miles away could still be challenging. New place, reverse climate and exotic cultures. So much for me to discover and adapt. I have to confess that my first impression of New Zealand and Otago was not as good as how I feel about everything right now. Travelling from a fast-paced cosmopolis to a laid-back, sparsely populated community made me feel utterly uncomfortable at the very beginning. I walked around campus the day before the semester commenced to avoid getting lost on the first day of school. A chilly and slight shower was sprinkling. I didn’t feel welcomed by such awful weather. The entire campus was too quiet. The wind blew creepily loud. I tried to remember every block I passed by, at least those I had to visit every week, but there were yet too many for a newbie who did not even recognise the name of the street she lived on. 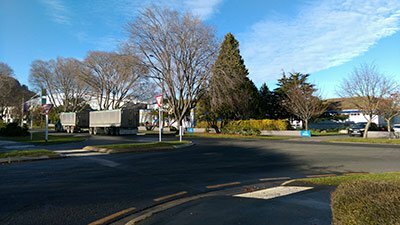 The only place I had never got lost to was the frequently-visited International Office around the Clocktower. Apart from dealing with immigration stuff and fees inside the office which annoyed me so much, madly satisfying were the beautiful sceneries across the Clocktower complex. The historic Victorian Gothic architecture, extended to the houses by the side, was just magnificent and easeful. By the Leith riverside was the lawn. That euphoric smell of grass on a rainy day was addictive. Upon my arrival, I had always been coming here for the tedious administration but had never really spent a little while just to appreciate how beautiful my school was. Since then, I enjoyed wandering in the campus and further to everywhere in the city, exploring every stunning corner and edge. The first week of school still made me so nervous. I went out early to get ready but shocked by the stream of students walking back and forth. Arrived at the Archway where my first lecture was held. It was a big lecture theatre packed with unfamiliar faces. I tried to hold my strong heartbeats by taking a deep breath slowly. I got to a random seat and left the two seats next to my sides empty to free myself from people. Soon had the crowd arrived and someone suddenly talked to me. She was a Kiwi. She confirmed with me if she was in the right place. We continued to chat after class and became friends naturally. This was a great start off and rescued me from anxiety. Throughout the semester, though it was tough starting over, lecturers, tutors and classmates were more than willing to help in every case. There were frequent opportunities from departments which opened up to all students to participate. One of the unanticipated facts was that I had never expected to have such diverse ethnicities of students. I thought that was some kind of marketing of the school to make it look posh when indeed it was really international. Some are international students like me, and some are exchange students from institutes around the globe. Met and chatted with some of them in small tutorial classes, debates and discussions were peaceful and insightful with people of different cultural backgrounds. Slowly, simply, unintendedly I am fond of my New Zealand life, both school and leisure. 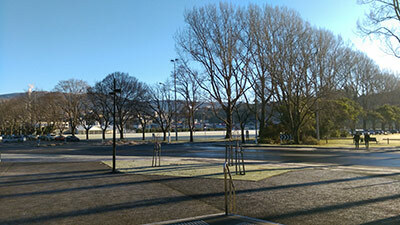 Freezing weather but warming campus. Sparse population but close bonding. The finest environment with the friendliest fellow. What could I ask for more when all these simplicities just made up a desirable new life for me? 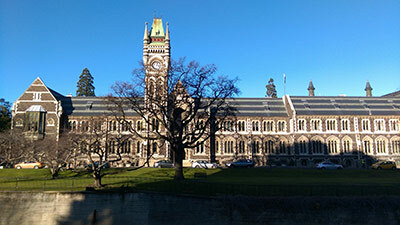 A year has gone by and I am feeling the same: Otago is my second home.